Gabrielle Aquilina: Christmas E-book Giveaway! There's some really cool stuff going on in the blogging world - Christmas themed of course! One of the best of these festive ideas is Sally Poyton's 'A book in every stocking' campaign. Having always been a bookworm (resulting in glasses at age 11 for overgrown eye muscles [or something like that, optical people, help me out! ]), it is no surprise to anyone who knows me in the slightest that this is something I will enthusiastically get behind. I don't think, despite the above proclamations, that I have any books for Christmas but then, that's not really up to me, is it? That's up to my present givers. 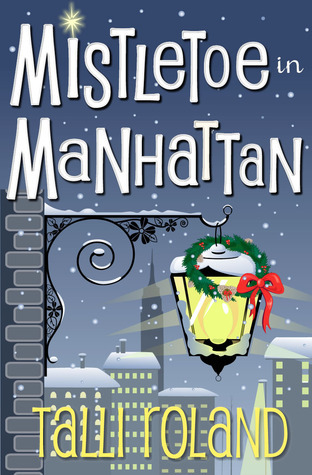 However, I am partaking in the Christmas bookish spirit by giving away, thanks to the lovely Talli Roland, a Kindle copy of the wonderful Christmas Novella, Mistletoe in Manhattan. to one lucky commenter. All you need to do is leave a festive comment here in the next couple of days and I will literally pick a name out of one of Lady M's sun hats on Boxing Day so that the winner can curl up in a corner and read this charming and funny story whilst recovering from the excesses of Christmas Day. So, having exhausted myself trying to buy a 2kg ham (impossible apparently) and settled on roast beef for Christmas Day, I am off to wrap presents, make a Buche de Noel and drink rum-infused eggnog in preparation for a very (non) traditional Christmas Eve feast of cheesy, beany nachos with all the trimmings, cos that's just how we roll in this house. WISHING YOU ALL THE HAPPIEST OF CHRISTMASES - EAT, DRINK AND BE VERY, VERY MERRY!! Merry Christmas! Would love to win this book! 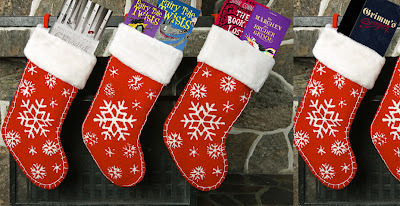 A book in every stocking is a great campaign - hope you got at least one book!